Whether you’re looking for a weekend get-a-way or for a stop during a grubby inter-railing trip, Prague is the destination. 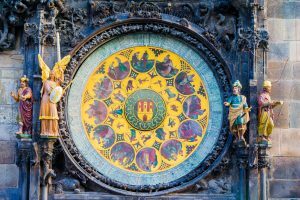 The small city, which is capital of the Czech Republic, is full of astonishing building, with a tonne of history behind them, and also has an unbelievable night-life. Its breath-taking views and unbelievable food, sitting either side of the Vlata river, are what make Prague a must go city. 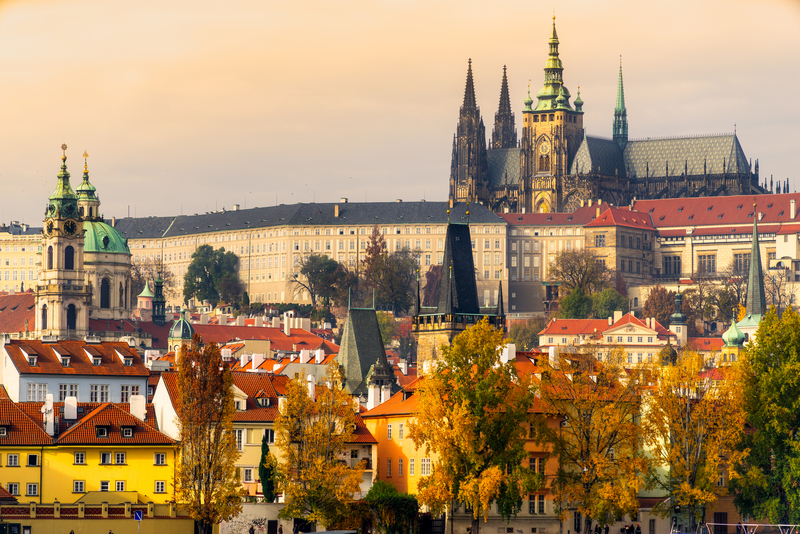 Here are a few reasons why you should put Prague on your travel bucket list. Prague Castle was built in the 870’s, and brought a lot of business to the City in the past and present. The castle ground was used for trading with merchants from all over Europe using it as a trading centre. The castle is on top of a steep enough hill and it takes it out of you climbing up but is 100% worth it. The castle’s history and charm really show when walking around the grounds. The views of the city from the castle are breath-taking. On a good day you can see the entire city, the river and the historical bridges. Old Town is the area closest to the castle. It’s probably the most touristy part of the city, but don’t let that discourage you from going to visit. Not only do you get to see what Prague has to offer history wise, if you’re there on the hour you get a lucky surprise from the medieval astronomical clock in the middle of the town. The massive clock tower completed in 1402 puts on an animated show to ring in the hour. Who would’ve thought that Czech food would’ve been slightly similar to a good hearty Irish stew?? 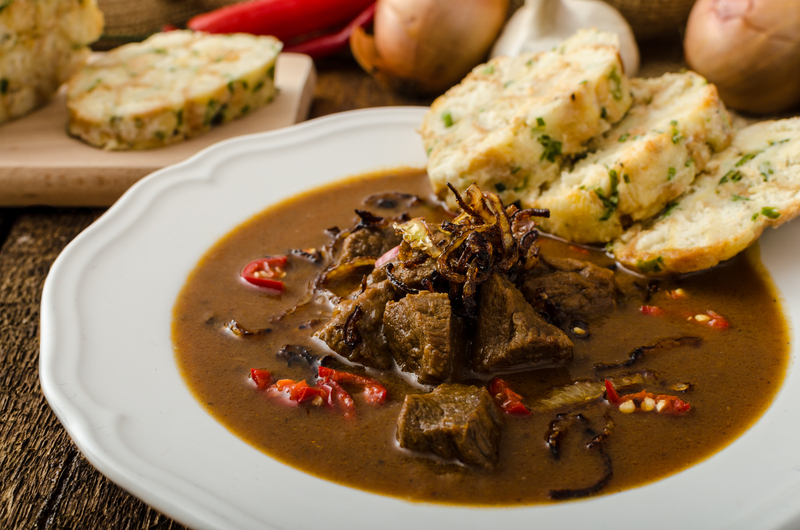 Prague is known mostly for its soups and sauces, and for its meaty dishes. Kulajda is a creamy potato soup that will warm your belly and remind you of home, as well as their delicious sausage, steak or duck dishes which they drench in Czech sauces. Drink-wise, the city has an abundance of Czech beers that go down a treat after your massive meal. One thing that most European countries do differently to Ireland is how they pour their pints. 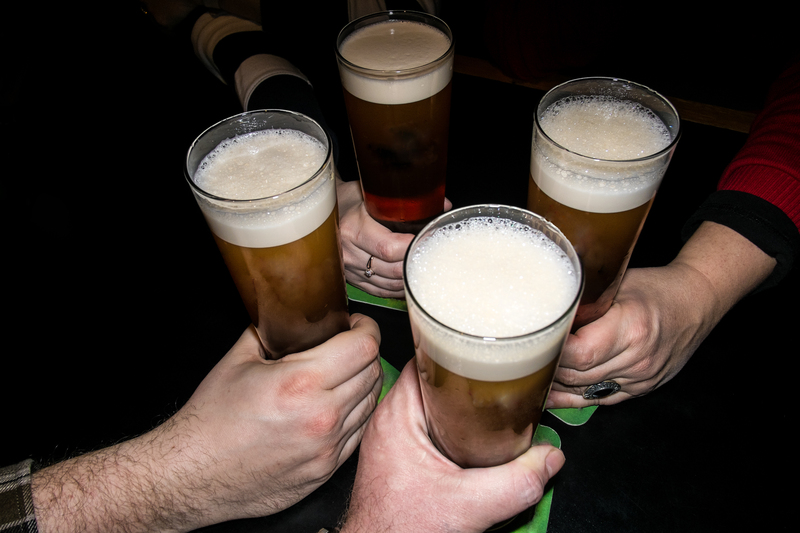 Most countries leave a thick head on their beer, but don’t go complaining that you got a rotten pint. Trust me, it’s actually grand. Keeps your beer fresh and bubbling for longer! 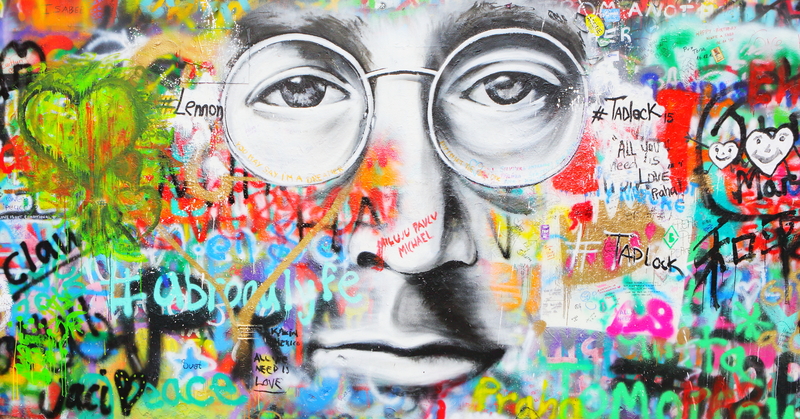 With all the sights to see in Prague, this is one you can’t miss. It’s nothing crazy historical but it really warms your heart seeing loving messages from people all over the world. 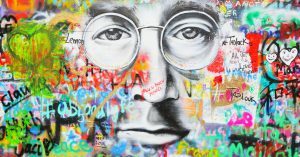 Once a normal wall, during the 1980’s it became known for the John Lennon inspired graffiti, and lyrics from the Beatles. There’s usually someone there singing while people gather to write their own notes, or take a classic insta-photo opportunity. Dog bar is not actually the name of the pub. Vzorkovna is a bar that’s pretty city central and you won’t find another like it. It looks pretty dodgy from the outside because of the gates and steep stairs, but don’t fret. They use a tag system that you add money to when you come in, wear it around your neck, and tap whenever you take a beer. The interiors are grungy but amazing. You will meet all kinds of people in there from all over the world and there is no such thing as a seating arrangement. You’ll see people sitting in bunks and have feet dangling above your head while watching some international band or DJ play. The reason the name ‘Dog bar’ is used is because they have dogs wandering around during the night. Irish wolf hounds to tiny jack russells. There’s always one or two there to boost your mood. Another thing that’s great about the city is its location. 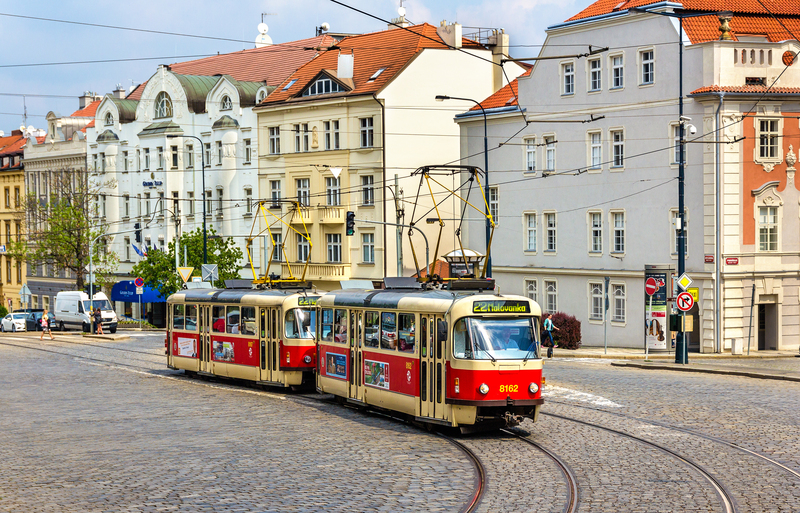 Prague is perfect for inter-railing as it’s pretty central in Europe and its transport system is very efficient. You can pass through for a day and still enjoy everything Prague has to offer.